I may need to come visit you just to have some delicious mexican food. Boston's just not cuttin' it. Our favorite Mexican place is 80. Miles. Away. Sob. Oh, and I love the honestly labeled bottle 'o stuff. What is Pandajo? Please enlighten us. And was it? Wickedly hot, that is? Halloweenlover - salasa's in South Boston is WICKED awesome. Highly rec. Small, hole in the wall joint. If you're nearby, check it out. Hmm. It would be so awesome if you DID ask for a pandejo sandwich. I'd probably spray margarita out my nariz if I overheard that. Wicked hot. I love it. The word wicked reminds me of the gorgeous Jimmy Falon formerly of SNL. He should have a label on him that says 'Wicked Hot'! I guess it's better it wasn't labeled "wicked pissah" - I mean, it being yellow-ish in color. Also, I second Salsas in Southie. Very good, but not sure how authentic it is considering I've lived in NE my entire life. Oops. Roo beat me to it. 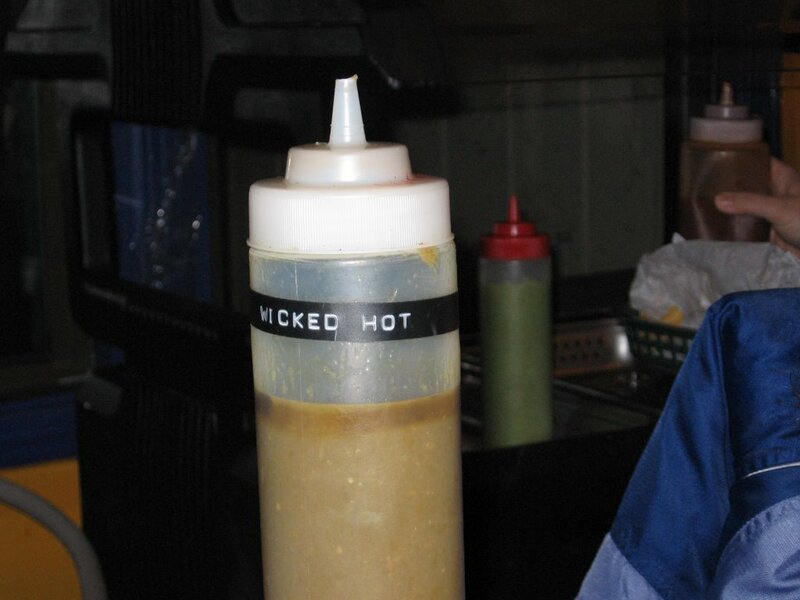 I also would like to know if you tried any of the "wicked hot" sauce. Jess, the recipes are from a lady who is from Mexico who works there. I would say authentic enough (by NE standards). H-lover, the papa taco, it like buttah. that's all I'm saying. I married a Tex Mex girl and imported her to maine. She is still trying to come to grips with the facts that not only is she the only Hispanic in a Mexican restaurant, she is most of the time the only one who has ever been in it.